Arr me hearties! 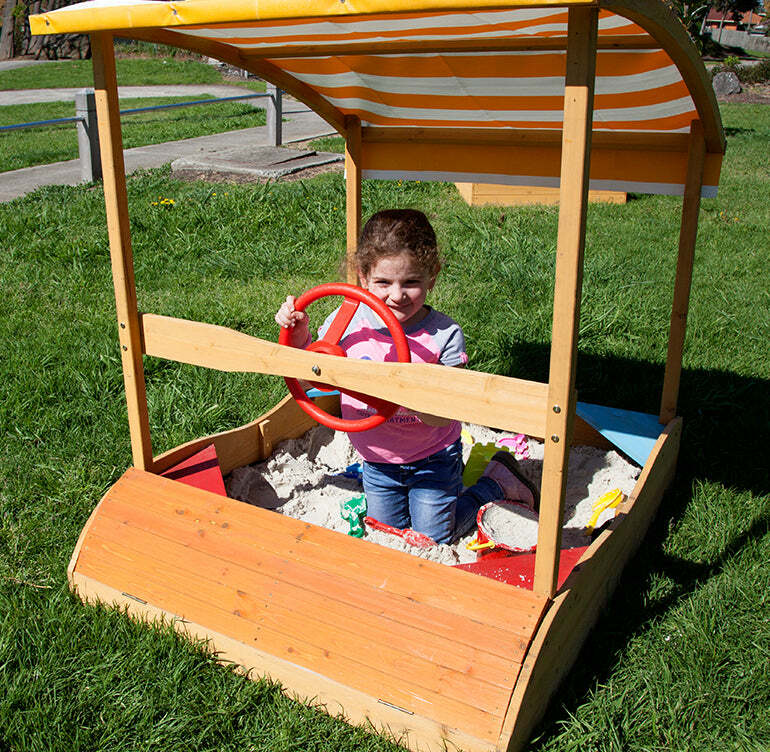 Your little one is in command of this vessel: The Captain Sandpit. 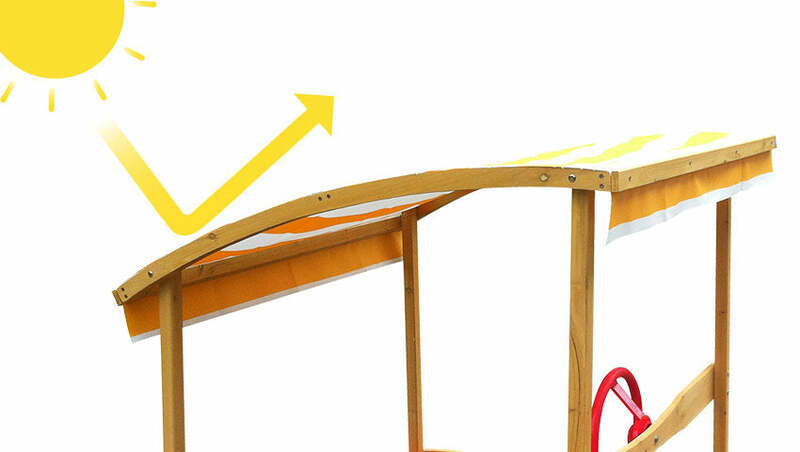 They can take control with the boat’s wheel to steer this ship, and explore deserted islands in the sandy play area. The front cargo hold is perfect for plundered treasure. Keep this vessel shipshape with a wooden cover. 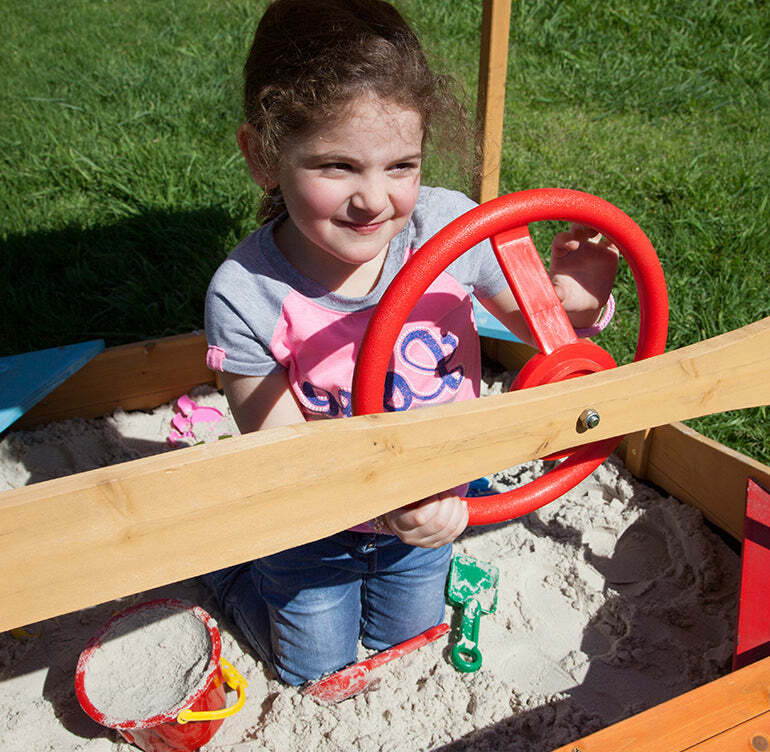 Your little ones can take control with the boat’s wheel to steer this ship, and explore deserted islands in the sandy play area. The front cargo hold is perfect for plundered treasure. Keep this vessel shipshape with a wooden cover. 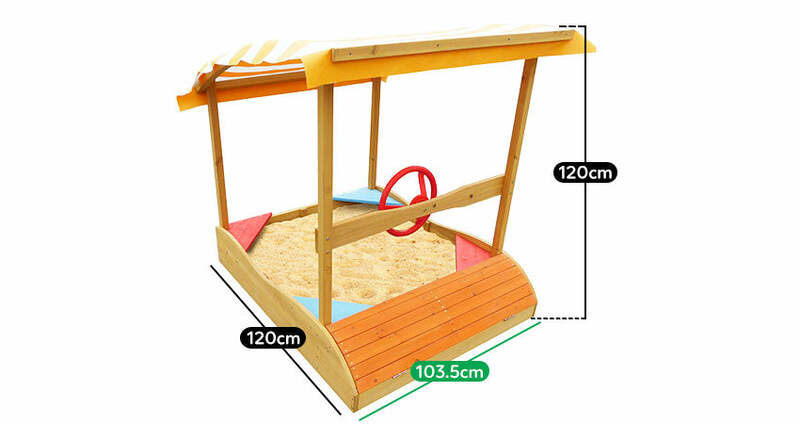 Keep your Toys/Tools or Plunder neatly stored at the front of the Captain Sandpit. 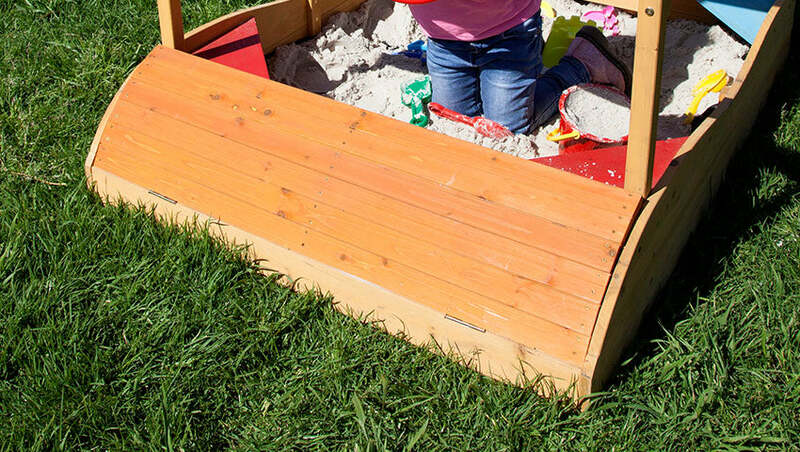 Keep your Sandpit clean and covered with our Sandpit Hard-top Wooden Covers. These lids/covers come in multiple sections that makes it easy to take on & off, and is easy to store away when the sandpit is in use. 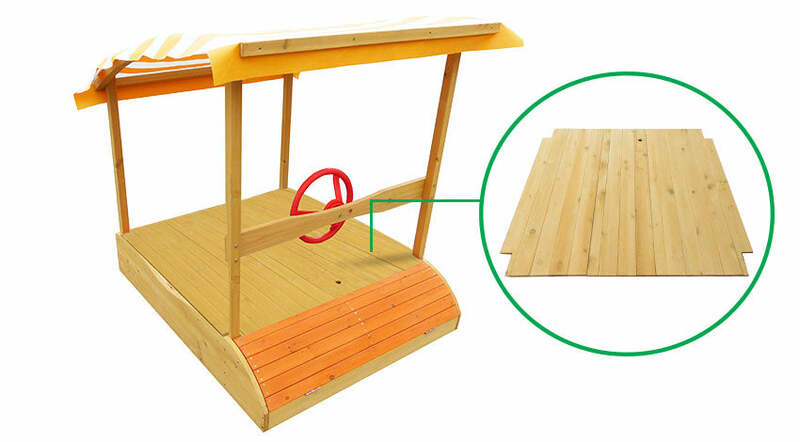 Our Sandpits come partially assembled with pre-drillings on some areas to allow for easy assembly. All you'll need is a screwdriver and approx. 45 minutes of your time.